Wheat fertilized with SUPERU at 63 lb. N/acre at-planting achieved 26 percent greater yield than untreated urea. Yield improvements with the use of SUPERU were associated with greater grain nitrogen uptake efficiency and protein content. Based on the collected data in the study, SUPERU was successful at accelerating early-season crop development and sustaining it over the growing season. Substantial early-season growth plays an important role in achieving higher yields in winter wheat. 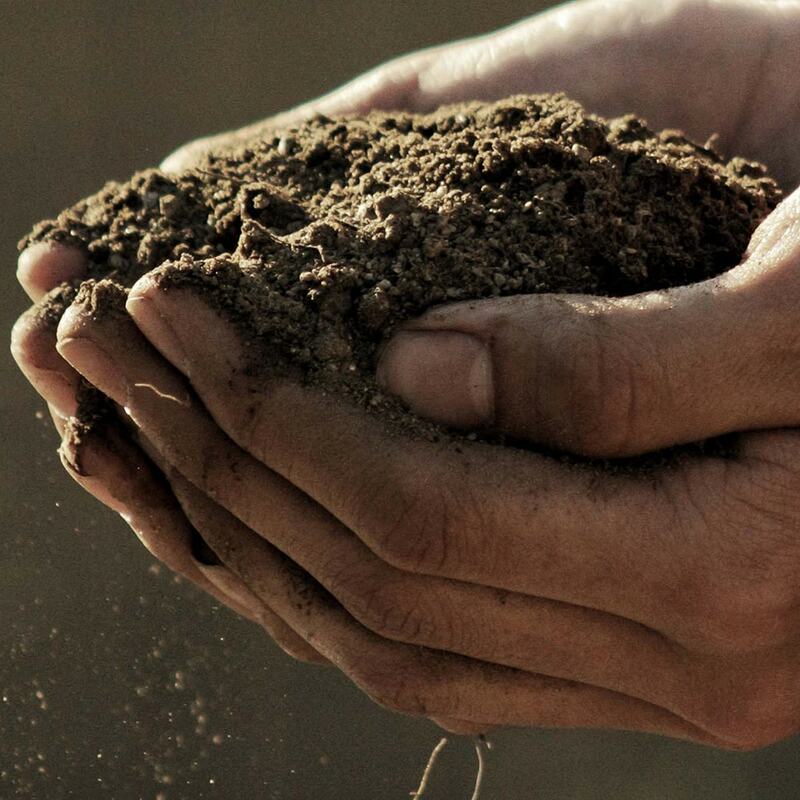 Likewise, having enough nitrogen available for a crop through the end of the growing season is critical to yield. 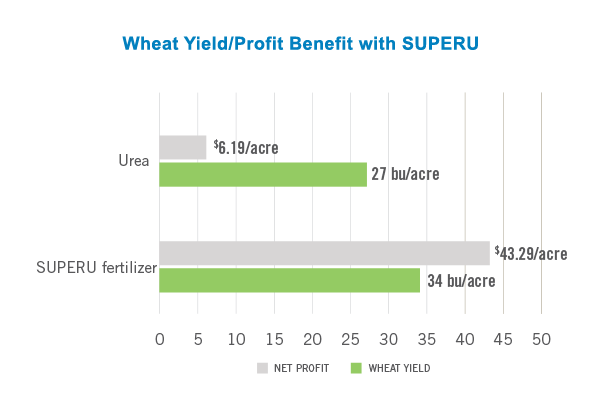 SUPERU fertilizer increased wheat yield by 26 percent compared to untreated urea. Due to the dryland conditions and the risk of volatilization, it is likely the urease inhibitor in SUPERU was the primary contributor for the yield advantage. The economic analysis of net profit for each treatment was at the wheat price points of $4.00, $6.00 and $8.00/bu., which represent the low, average and high prices in the Southern Great Plains over the past eight years. 2Broadcasting SUPERU resulted in higher net profits than untreated urea at all price points. As wheat price increased, the crop treated with SUPERU saw more economic benefit. By protecting the nitrogen investment with SUPERU, the study showed an increase in yield, resulting in an increase in net profit by $37.10 per acre compared to untreated urea. The study concluded the winter wheat fertilized with SUPERU consistently increased yield and net profits over wheat fertilized with urea. 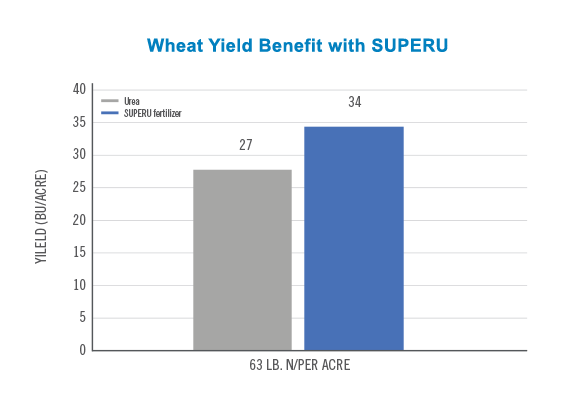 To learn more about SUPERU and how it can increase your yield potential, visit SUPERUfertilizer.com. 2The economic analysis was based on the Texas A&M AgriLife Extension Service enterprise budget developed with estimations for the Rolling Plains Extension District 3. There were modifications to wheat yield, cost of nitrogen fertilizers and other variables including diesel fuel. Neither Texas A&M University, nor the individual researchers referenced, endorse or recommend any product or service.